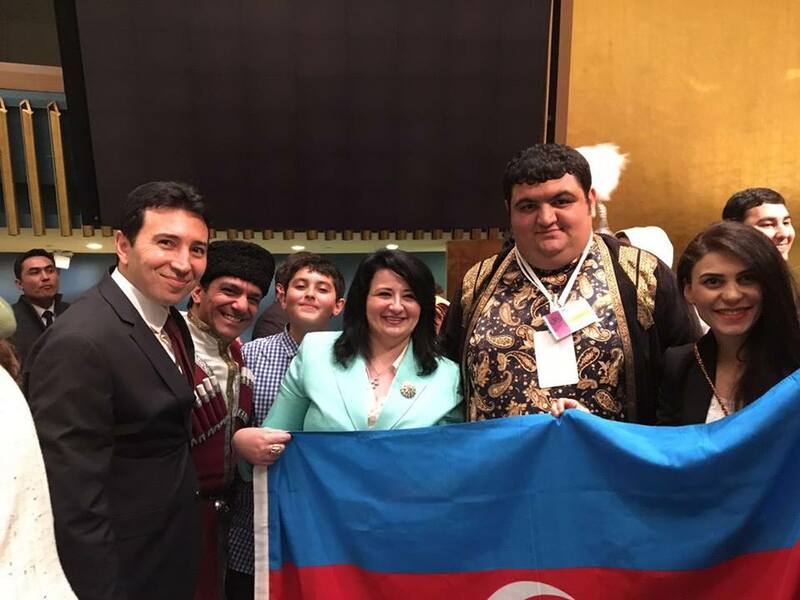 Azerbaijan’s folk ensemble "Jangi" and ashug Ali Tapdigoglu have performed at a concert organized at the UN Headquarters. The event was organized by the International Organization of Turkic Culture (TÜRKSOY) on the occasion of the Novruz holiday, Trend Life reports. "Our performance was met with grand applause. After the event, the Americans approached us and expressed admiration for Azerbaijani folk art," said ashug Ali Tapdigoglu. The performance of the Azerbaijani artists was accompaniment by mugham performers Mirjavad Jafarov (tar) and Shakhriyar Musayev (kamancha). The concert was attended by representatives of Uzbekistan, Kyrgyzstan, Kazakhstan, Gagauzia, Bosnia and Herzegovina, Mongolia, Macedonia, Turkmenistan and other countries. The visit of Azerbaijani musicians was supported by Azerbaijan Ministry of Culture and Tourism. Novruz is one of the most cherished holidays of many Azerbaijanis, when people are kind of uniting with nature ... since spring is coming and nature is awakening. Symbolizing the end of an old year and beginning of a new year, this holiday is the oldest festival of spring and included in the UNESCO Representative List of the Intangible Cultural Heritage of Humanity .